This website is dedicated to all baseball players who lost their lives while serving with the armed forces. 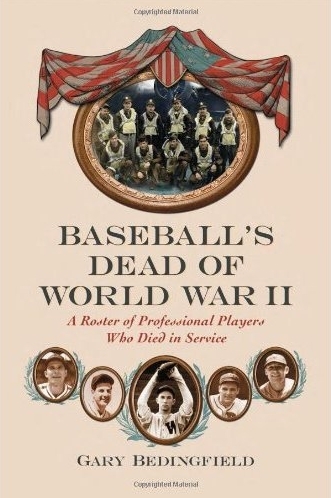 Gary Bedingfield's Baseball's Greatest Sacrifice is dedicated to players who lost their lives in military service. Whether they were killed in action, died from wounds, illness or accident, detailed biographies of these men are included as part of the most comprehensive resource of its type on the Internet. There are currently 545 names listed on the website with 510 individual biographies available. 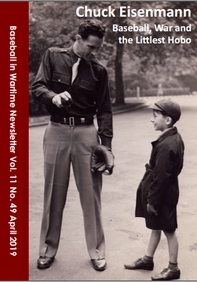 As the creator and editor of BaseballinWartime.com - the Internet's biggest resource for anything related to baseball and the military - I wanted to create a website that could serve as a memorial to all the ballplayers who lost their lives while in the service of their nation. Since the early 1990s, I've been gathering information on these men and it has never ceased to amaze me that their stories - until now - have been buried with the passing of time. Dating back as far as the Civil War, baseball players were serving and making the ultimate sacrifice for their country. Why MLB have chosen to ignore this fact is beyond me, but now you can learn the fascinating and heart-rending stories of these brave young men who played baseball at all levels - professional, semi-professional, college, amateur and high school - and who came from all parts of the globe including the United States, Canada, Australia, Japan and the Philippines. Please take a minute to scan through some of the biographies we have here. Dip into the First World War casualties from the Western Front, the Second World War losses on the battleships of the Pacific, the Communist rebelling losses of Korea and from the infested jungles of Vietnam. Betting on baseball is different from betting on football. In some countries, sports betting online is still prohibited but some countries allow it. It is wise to familiarise yourself with countries that accept sports betting. For alternative type of online betting, visit https://www.casino-mate.com and start wagering on sports-themed casino games like baseball slots. Baseball fans have always used live betting as another way to enjoy the sport. If you want to bet on baseball game but you don't have a bookmaker yet, you should visit les-pronostickers.com/ for great reviews. It's a massive online guide where you will finally find attractive bonuses to bet on baseball games. You can find more on https://www.parissportif.cc/ ! When you will have found your bookmaker, then have a look at resultats-sportifs.com, it's a massive online guide where you will finally find attractive bonuses to bet on baseball games. 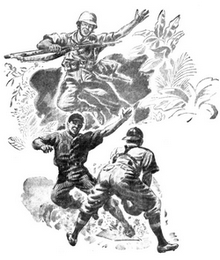 Read about the only known, active military fatalitiy, ever to have actually occurred...on a baseball field!